There’s something about a small stage that a place like Red Rocks or Madison Square Garden can’t replace. The intimacy of being right there in front of a band you might have driven for hours to see (like someone in the crowd who had come in from Williamsburg, more than two hours away) is an experience like no other. Even more so when the person in front of you is Teri Gender Bender. 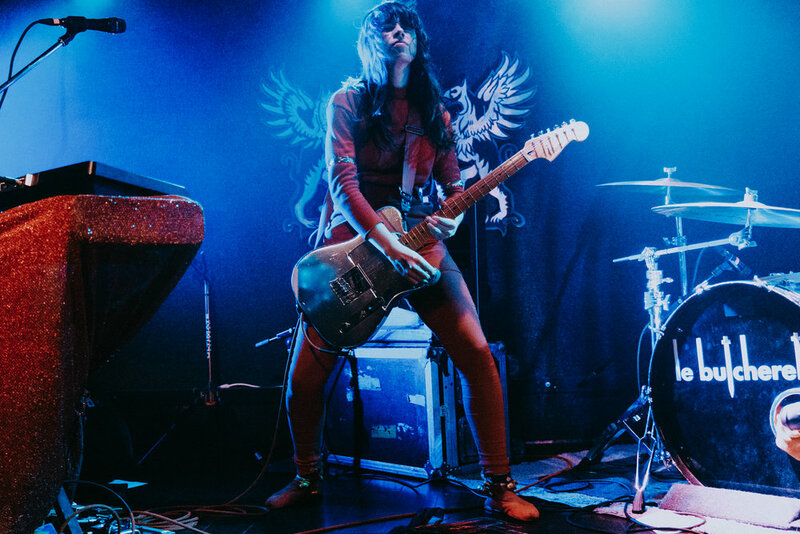 Le Butcherettes have been at it since 2007 with Teri Gender Bender as the main constant through its ever-changing lineup, but this current four-person lineup has been in place since 2017. Their new album bi/MENTAL Moving to a four-person setup has let Teri Gender Bender go all-out insane on stage. Channeling the likes of Karen O, she is chock full of pained expressions, high kicks, and freak-outs. By the end of the show, Bender was drenched in so much sweat that she might as well have just walked through a storm without an umbrella. 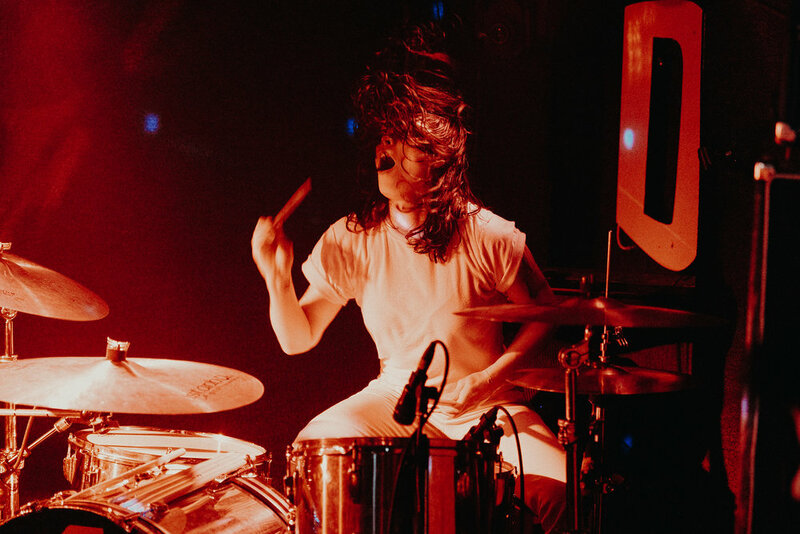 Drummer Alejandra Robles Luna headbanged her way through intense drum fills, like on set highlight “Mr. Tolstoi” from their 2011 album Sin Sin Sin, that propelled the rest of the band to explosive heights. With Teri Gender Bender serving as the eye of the storm, Le Butcherettes gave a performance that will be remembered for a long time to come. Opening for Le Butcherettes were LA band Stars at Night and DC-based loud rock duo Venray.